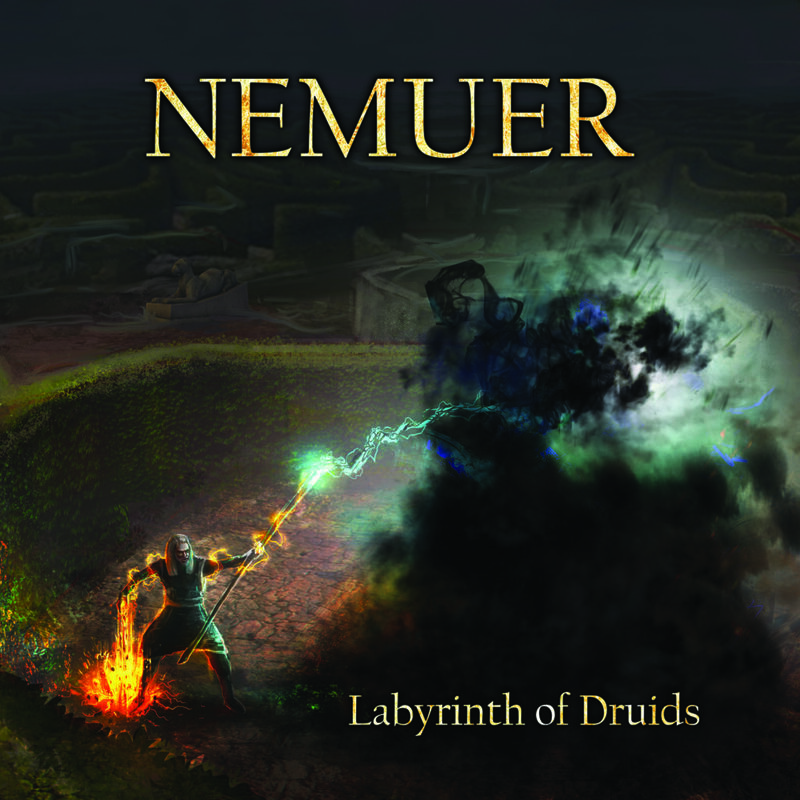 Nemuer just released their Lovecraftian Music Album Labyrinth of Druids (LoD), which is the second of upcoming atmospheric soundtrack octology. The main essence of this album is a terribly dark atmosphere that is built by suggestive, sinister and dreamy tones of acoustic guitar combined with haunting symphonic parts. Apart from “The Main Theme”, which combining epic and melancholic parts, the most remarkable is the super-eerie track “Caves of Damnation” of which vocals were recorded in a real cave. “The Castle” is dedicated to H. P. Lovecraft and it is set in one of his most famous stories “The Outsider”. Visit our shop to purchase the album and experience the utter horror and abyssal darkness. Nemuer’s minimalistic and dark music is hardly describable for its unique genre, but their listeners were able to find a certain connection with Matt Uelmen, Tenhi, Dead Can Dance, Wardruna and Hans Zimmer. Also, there is an apparent link to Ancient Egyptian, Babylonian, Celtic and Nordic mythology. It is a very particular type of music and if there is a project that can disrupt the walls of mainstream, it is Nemuer. This entry was posted in News and tagged labyrinth of druids, released. Bookmark the permalink.